12. This Papaya tree is 2 years old and 20 ft. tall. 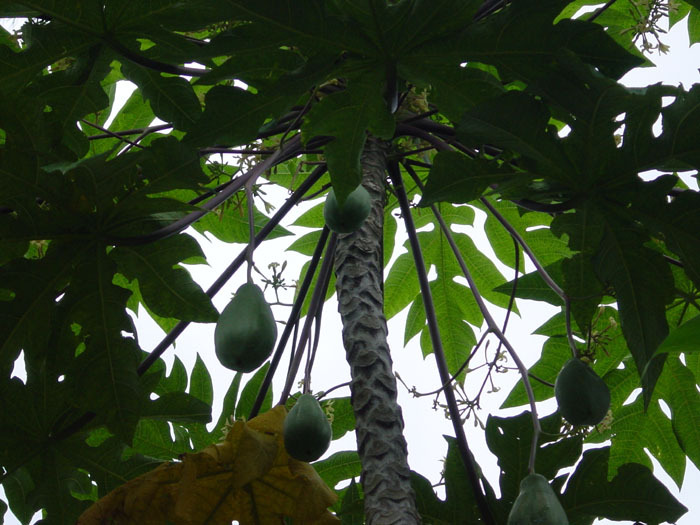 It's a male Papaya tree with its long dangling fruit. The female tree's fruit is attached at the trunk and they are usually smaller but just as tasty.